Smart Insights are a publisher and learning platform that helps our members plan, manage and optimize their marketing using our downloadable planning templates, guides and interactive learning tools. We’re proud to share the exciting potential of digital marketing with 150,000 active members across 100 countries and a monthly readership of ½ million. We help individuals develop their careers and make them more effective in their roles and team by improving their marketing competencies with our premium Individual membership. We help businesses of all sizes in different sectors transform their multichannel marketing to improve their results from marketing by improving their marketing capabilities and governance with our premium Business membership. 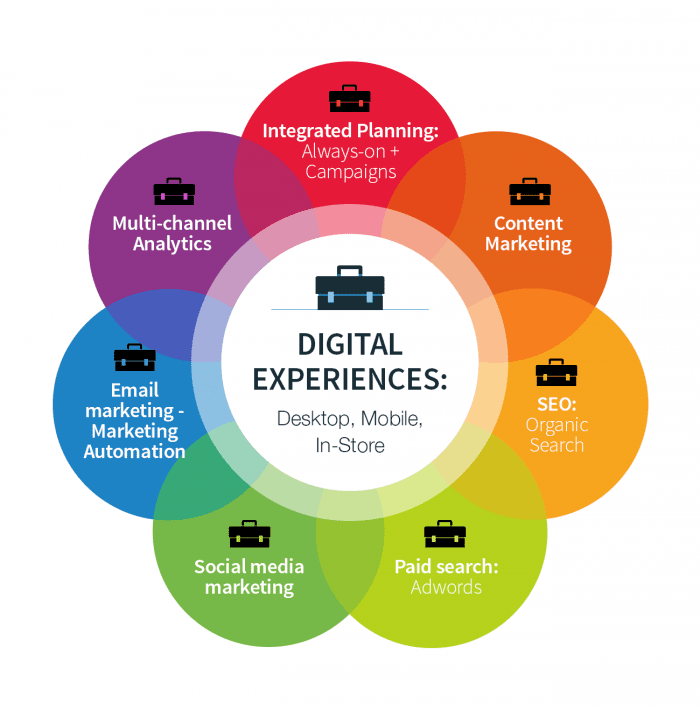 We offer customized consulting and training advice to improve your digital marketing through our Digital marketing strategy consultancy and in-company marketing training courses - we've helped many businesses create or refine their digital marketing strategies or increase returns from individual channels like affiliate, email, search, social media marketing and conversion rate optimization. We also offer free membership giving you downloads of free sample templates and guides, get regular enewsletter updates on best practices and the options to use our interactive capabililty graders and personalized learning plans. We support martech vendors and agencies through our Content Partnerships to grow awareness and leads through our advertising and PR options. Our actionable library of marketing advice for premium members, created by 25 plus digital marketing specialists and edited by bestselling digital marketing author Dr Dave Chaffey is focused on helping business owners, marketers and digital marketing specialists improve the commercial results from using digital marketing for their company or their clients. 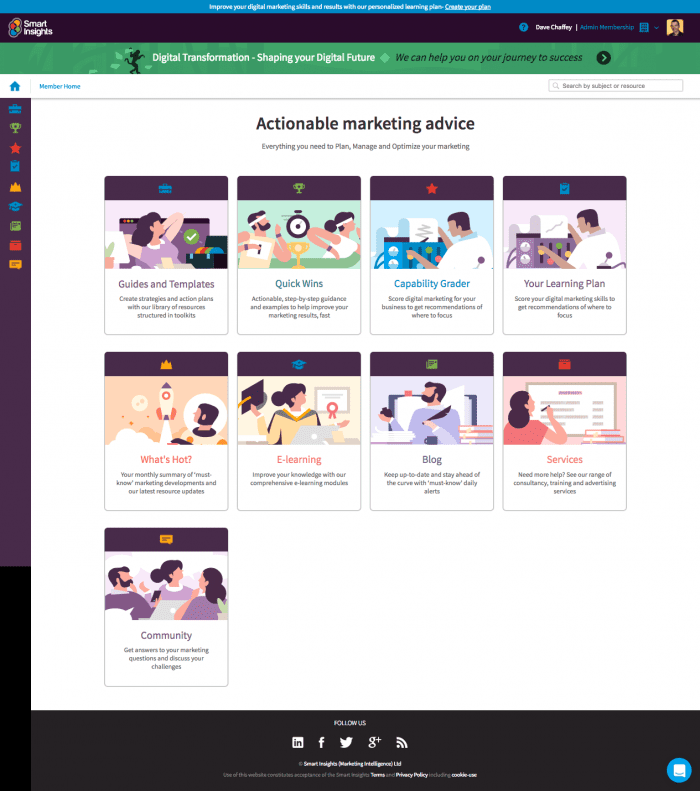 To help marketers make more of online marketing, we've created a learning platform all members can access when signed-in. Digital marketing e-learning - our great value training and how-to screencasts enable you to learn how to improve your marketing expertise. What's more you can influence them, let us know about the topics you want to hear about or be involved with. An active community - you can ask questions and share advice on whatever is bugging you, whether that's challenges, future opportunities, tools, stats or suppliers. Our belief is that there's no better resource than other people like you! Dr Dave Chaffey, Content Director, a bestselling author of books on digital marketing and Ecommerce, recognised in 2004 by the Chartered Institute of Marketing as one of 50 gurus who have "shaped the future of marketing". Dave continues to speak, train and consult on digital marketing strategy with his main focus on developing member content for Smart Insights. Stu Miller, CEO. Stu has 17 years of experience of managing web-based technology for both large companies and start-ups, with the last 11 of those creating and running internet related businesses. Prior to Smart Insights he worked as a consultant and was a co-founder of First10, a digital marketing agency. Stu now runs Smart Insights from its office in Leeds, UK. We select our specialist Expert commentators for their in-depth knowledge and experience of specific digital channels and techniques. But comments and recommendations from members add dramatically to everyone's knowledge. Getting the most from the many marketing opportunities available today is challenging. In creating our new site, we want to offer advice to make a difference, so we set out how in our manifesto.